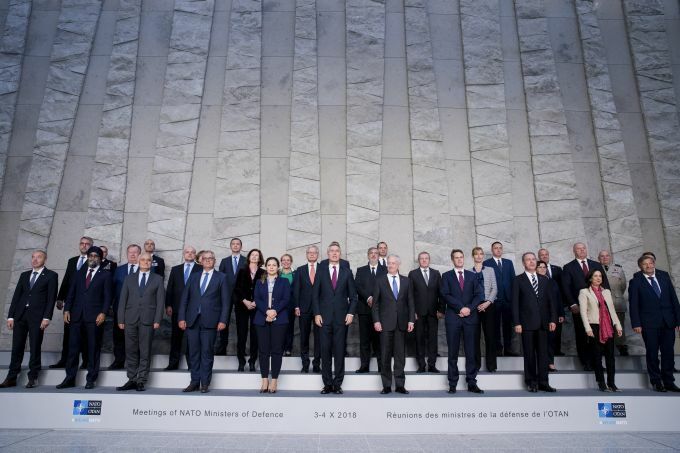 Brussels: NATO's Secretary General Jens Stoltenberg, front row centre, poses for a group photograph along with NATO Defence Ministers after a meeting of the North Atlantic Council at a gathering of NATO defence ministers at NATO headquarters in Brussels, Wednesday, Oct. 3, 2018. Paris: PSG forward Neymar Neymar, left and forward Kylian Mbappe warm up prior to the the group C Champions League soccer match between Paris Saint Germain and Red Star Belgrade at the Parc des Princes stadium in Paris, France, Wednesday, Oct. 3, 2018. Washington: Secretary of State Mike Pompeo briefs reporters at the State Department in Washington, Wednesday, Oct. 3, 2018. 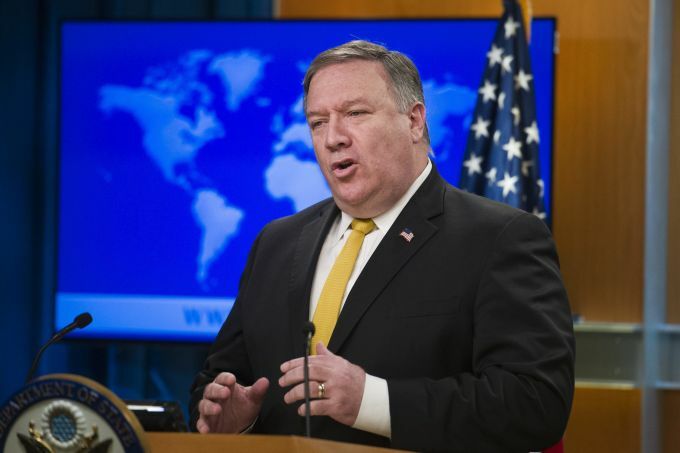 Pompeo has announced that the U.S. is canceling a 1955 treaty with Iran establishing economic relations and consular rights between the two nations. Beijing: Dominika Cibulkova of Slovakia reacts after beating Sloane Stephens of the United States in their third round women's singles match in the China Open at the National Tennis Stadium in Beijing, Wednesday, Oct. 3, 2018. 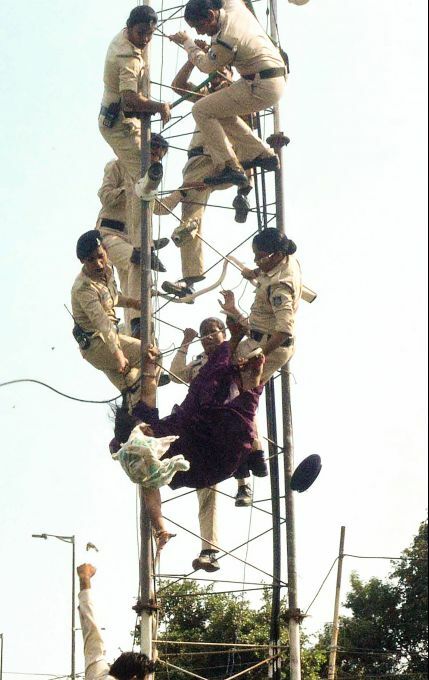 Bhopal: Police personnel rescue a woman activist who climbed up a tower threatening to end her life during ASHA and USHA workers demonstration demanding for hike in their wages and regularization of their jobs, in Bhopal, Wednesday, Oct 3, 2018. 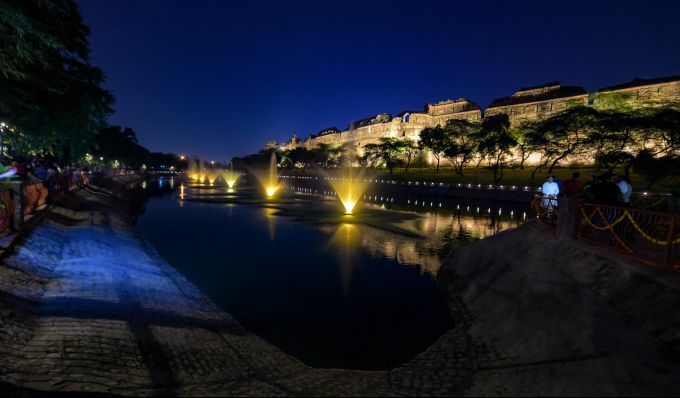 New Delhi: A view of Purana Quila lake after its renovation in New Delhi, Wednesday, Oct 3, 2018.